Do you want affordable straight teeth ? Braces Cost: Due to low laboratory fees and quick treatment times and prices, Quick Straight Teeth invisible braces are a cost-effective adult brace systems on offer in the UK, meaning you can get amazing, clear braces that don’t scrimp on quality or cost for straightening teeth. The cost of clear braces should be affordable. Quick Straight Teeth™ are an affordable, comfortable and effective way of to straighten your teeth and give you a perfect smile. The invisible braces work by only concentrating on the front 6 to 8 teeth. Quick Straight Teeth™ braces for teeth can correct mild to moderate problems quickly, making it more affordable than similar options and more agreeable to patients to get straighter teeth and affordable braces cost. 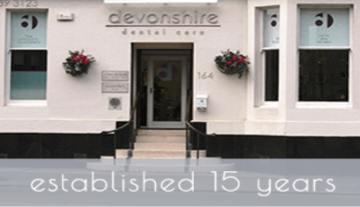 Fixed Braces – The Results Are Clear! All our Q Dentists ONLY use 3M Gemini Clear Brackets for their cases. These have a reliable and proven track record worldwide for their performance and beautiful aesthetics, being nearly invisible once placed in the mouth. We also use bespoke tooth coloured wires making our braces the most aesthetic compared with any similar systems available on the market today. The braces are traditionally only used on the front 6 or 8 teeth, to correct mild misalignment and give you a beautiful smile. QuickStraightTeeth™ is a unique clear teeth straightening system that uses a series of nearly invisible braces. Our clear teeth straightening system has been developed to be a quick, discreet and very cost effective alternative for patients not wanting traditional metal braces. Unlike other invisible braces available in the UK, QuickStraightTeeth™ does not rely on one standard aligner. We have developed a range of unique Q Appliances, consisting of five highly developed teeth straightening appliances. All of our unique clear braces are accessible when you purchase the QuickStraightTeeth package! We only offer our appliances to patients who can benefit from our clear appliances and get straighter teeth. We take a great deal of pride in what we do. The company, our opinions and advice are based on honesty and quality. Any patient who we feel will not benefit from our Straight Teeth nearly invisible braces, will not be offered our procedure. We run our company with the set goal of positively changing every patient’s life by doing our part in helping to create a radiant, confident smile.